It's not long now until I start Scroll Free September! I've already been trying to make some changes since I signed up, in particular taking a look at my typical scrolling behaviour. I've been trying to work out my particular trigger points for scrolling, and thinking about how I can divert myself away from my phone, ready for when I start the challenge for real. First thing in the morning - my children wake me up a little before I actually need to get up, so I have a few minutes to lie in bed before I start the day. I reach for my phone because I want to see if I've missed anything overnight. Alternative - either rest in bed with my eyes shut (aka go back to sleep!) or simply get up and jump in the shower. As a bonus, this gives me a head start on the before rush. Then I can catch up with any important notifications or e-mails while I eat my breakfast. While waiting around at home before I need to go out - I'm always early for things, so I often find myself ready to go out well before I need to leave the house. Scrolling through my phone helps me to waste those last few minutes. Alternative - think about what my first task will be when I get back home and do something to make that easier - e.g. if I'll be making lunch get out the lunch things ready. Or else tidy the area around the front door, put shoes away etc. While procrastinating - sometimes I find it difficult to settle to a task and I'll procrastinate by scrolling through social media, all the time feeling more anxious when I think about the work that I'm not getting done. Alternative - if it's an urgent task then I've always found setting a timer to work well. But if I really can't concentrate I need to find myself something else to do, whether that's housework or something crafty, and come back later when I'm in the right mood. While waiting in the car at school pick up - I'm always early for school pick up and usually have ten minutes or so to wait in the car. Alternative - walk to the school the long way around to get some extra fresh air and exercise. Take along a puzzle book (I've recently rediscovered Sudoku and other logic problems! ), I could even get one to keep in the car. During swimming lessons - swimming lessons are so boring, and stressful! Alternative - take a book with me instead. Also, this coming term the children are in the same swimming class, so I'm hoping that I can swim myself while they have their lesson. While making dinner - I seem to spend ages making dinner and lunchboxes every night, and it's easy to pick up my phone while I'm waiting for something to cook. Alternative - wash up and put things away as I go along. Clear and clean the kitchen counters and other surfaces. While children are getting ready for bed - there's so much faffing with getting the children ready for bed, and I often grab my phone as it's a way of switching off from the chaos. Alternative - keeping a book handy to turn to, using the time to tidy upstairs and help the children to unwind by reading with them and talking to them. In bed in the evening in bed - I think that this is a part of winding down after the day, as I use the mindless scrolling as a way of switching off. The irony is that it's well known that it's not a good idea to use your phone before bed because it actually disrupts your sleep! Alternative - reading a book in the bed is the obvious one, and I could also have a bath or shower to help unwind beforehand. When Ram is away - Ram will be away for some of September. The trigger point here is when I'm in bed at night, sometimes I find it difficult to switch off and get to sleep so I find myself scrolling through my phone until late so that I'm really tired. Alternative - I have some films lined up to watch during the evenings and I'll work on some cross stitch while I'm watching them. Having a bath should help me to relax before I go to sleep, and I'll make sure that I've got some good books to read. Often when Ram is away I stock up on junk food, but as I'll be watching what I eat this September maybe I'll spend the junk food money on some new books! Something else that I need to do is to get in the habit of leaving my phone in one place when I'm not using it. We have a bowl in the kitchen for keys so I'm thinking I'll place it there when I'm in the house and hopefully because it's not on me all the time I'll be less tempted to pick it up. I'm hoping that having come up with these alternatives in advance I'll find things easier as I start the month! Last week we spent an enjoyable few days near Cirencester in the Cotswolds with family. 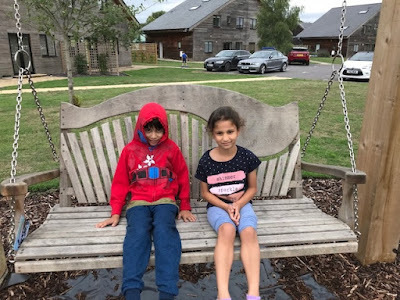 It was our first experience using Airbnb and I must admit that we were a little apprehensive, but I'm pleased to say it all worked out very well - we stayed in a lovely lakeside holiday home in South Cerney, which was in a great location to explore Cirencester and the surrounding areas. 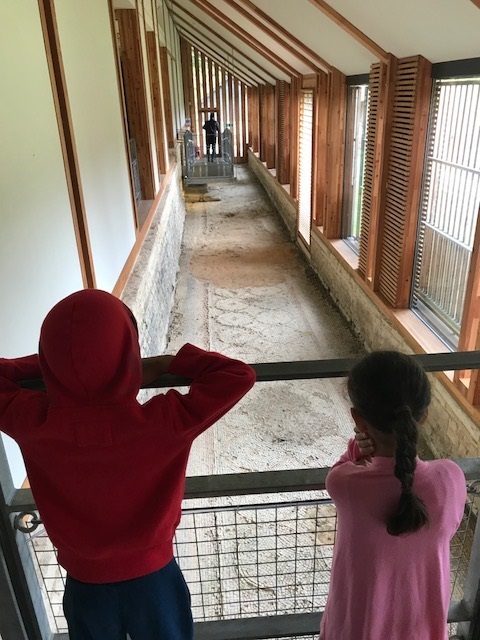 On our first day we took the children to the Corinium Museum in Cirencester. I hadn't realised before how important a city Cirencester was in Roman times - in terms of size it was second only to London! 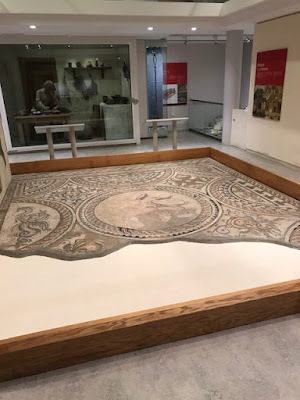 The museum had some lovely mosaics and other Roman artefacts and was also a history of the archaeology of the Cotswolds along with some interesting pre-historic and Anglo Saxon displays as well. We paid £1 each for the children to take part in the museum trail which was a big hit. 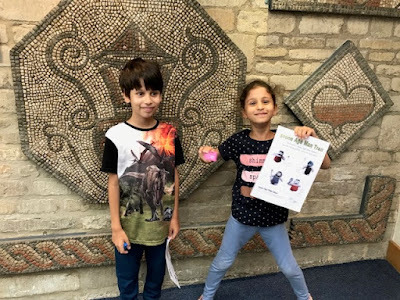 Harry loves a museum and wants to spend time at each display but it's a little more difficult to keep Mia interested, so she loved hunting for little Stone Age knitted characters. There were also lots of games and interactive displays to entertain them. 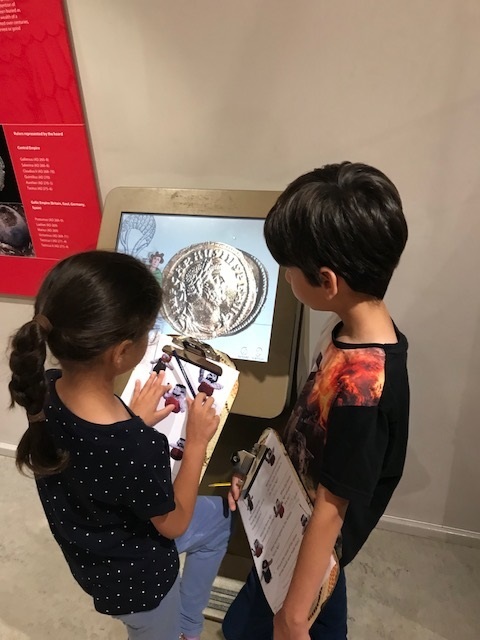 We spent quite some time playing some Roman board games, and when they had completed the trail they were delighted to receive a museum eraser each as a gift. Our second trip out was to Chedsworth Roman Villa. Chedsworth was one of the grandest Roman villas in Britain and it's set in some beautiful Cotswolds scenery. There are some amazing mosaics preserved inside one of the buildings and there are plenty more still to be discovered - recently many more mosaics were uncovered which have been temporarily covered up - the villa really was enormous. I was particularly fascinated by the dining room where you could see the grandest mosaics, and I found it fascinating to imagine the dinner parties that must have once taken place there. We watched a display by some Roman soldiers, did some crafting, and the children were able to dress up in Roman outfits. We don't have many National Trust properties near to us so we've never really considered a membership, but we are now thinking that it might be a good idea to get one for a year and tick off as many properties as we can! We had a really lovely few days away! Many of the best-dressed people do not own that many clothes. They follow a few simple styling principles to make sure that they stay on trend and always look good. In the past, capsule wardrobes were mainly created for women. But, increasingly men are learning to do the same. If you want to encourage your husband or boyfriend to do the same, all you need to do is to read on. It is far easier than you think and you can easily buy what you need from somewhere like Jacamo. Most men can get away with owning just two pairs of trousers. A pair of jeans and chinos is usually all they need. The athleisure look is still huge. 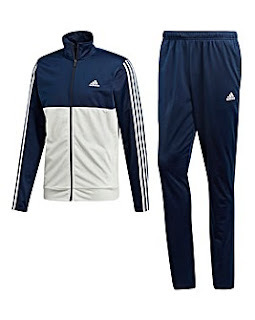 Men who prefer this style can easily swap a pair of chinos for tracksuit or training bottoms. In fact, all men should consider including at least one pair of these in their wardrobe. They are a really versatile item of clothing. Tracksuit bottoms are comfortable, so are perfect for wearing at the weekends or in the evenings. For most men, a pair of trainers and one pair of shoes or boots are adequate. 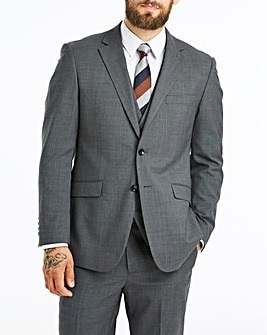 Ideally, the shoes or boots should be in a style that looks good with a suit or smart trousers. You are going to need about 8 different tops. They need to be in a different mix of styles. A few traditional t-shirts, a couple of polo shirts and some long-sleeve shirts is usually a good mix. However, every man has different needs. Someone who works in an office with a dress code that requires them to wear shirts will need to have at least five in their wardrobe. Eight pairs of underwear and socks are enough for most men. However, a man that works out regularly is likely to need more. Most men can get away with owning only two coats or jackets. A smart jacket and a leather coat is a good combination that works well. A man who has to wear a suit to work will need two suits. One to wear and a spare just in case the other one gets dirty or is at the dry cleaners. What accessories a man buys is very much a matter of personal taste. For example, some men like to wear a belt, while others never need one. Key to creating a capsule wardrobe that works whether you are a man or woman is colour coordination. Get that right, and you can create an amazing array of outfits using just 14 items of clothing. This short article explains how men can work out which tones and colours work best for them and use them as the basis of their wardrobe. If you want to you can do the same with your children’s wardrobes. I promise you that if you make the right choices they will not even notice that you have reduced the number of clothes they own. 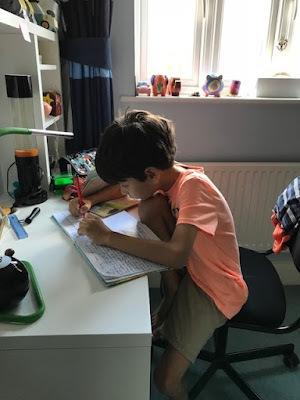 This article, which I wrote last year, tells you more about helping your kids to look great without your having to spend a fortune on clothes. This is a collaborative post in association with Jacamo. 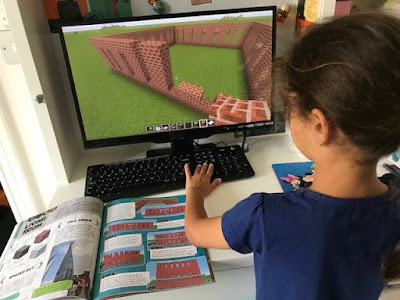 My children are massive fans of Minecraft - I think that they'd play it all day if they could! 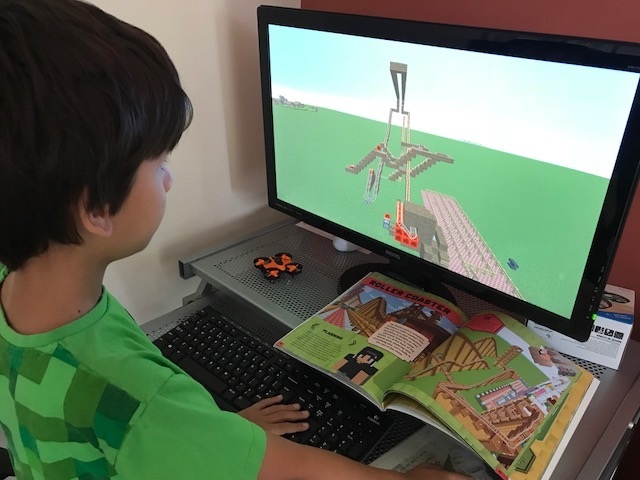 Personally I'd much rather they chose to play Minecraft than some of the other games that are out there - they play beautifully together as well as following their own projects, and they have both created some really amazing structures. 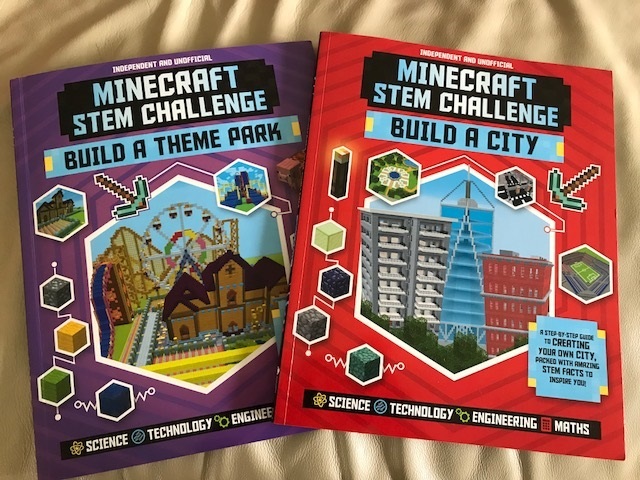 So I knew that they would love these two new Minecraft STEM Challenge books from Carlton - Build a Theme Park and Build a City. 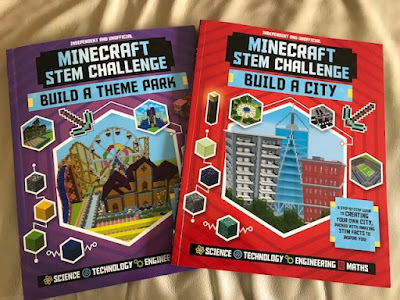 These books claim to be a first-of-a-kind addition to the Minecraft market, and they are certainly very different to the other Minecraft books that they own. They are large format, packed with colourful pictures and texts, and easy to dip in and out of. Each book takes you through the step-by-step construction of a Minecraft City or Theme Park. You can follow the instructions to create an exact copy, with directions given for overall layout and how to make each building. Or if you prefer you can copy the individual buildings, or just take inspiration from the creations and come up with your own designs. 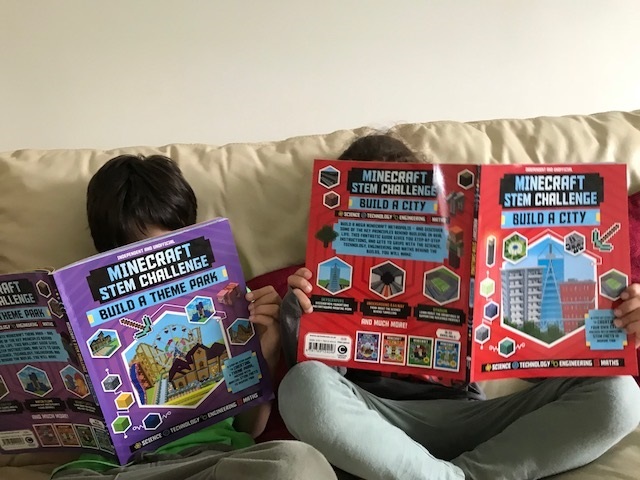 Alongside the instructions you can read about STEM (Science, Technology, Engineering and Mathematics) topics in the real world, then put this learning to use in the game. For example calculating the total area needed to house a theme park ride, or learning how gravity and friction will affect the speed of a roller coaster. Mia chose to work with the Build a City book, and decided to start by building a tower block. She wanted to come up with her own design for the city as a whole, but chose to copy the instructions for the tower block from the book. I sat down with her and helped her to work through them step-by-step. The book explained why we needed to use particular materials, and there was lots of maths involved in calculating where to place the blocks to form the sides to make sure that everything lined up. There's also a calculation to work out how many families you can house in the tower block based on the number of floors that you build. It was a lot of fun! I left her to it and came back to find that she'd gone on to build her own versions of other structures from the book - this time taking inspiration from the book but using her own designs. She had chosen to use different materials and I was really impressed to hear her telling me about why she'd chosen particular materials. She built a park with different rides in it and some shops. Harry pounced on the Theme Park book and quickly set to making his own park. 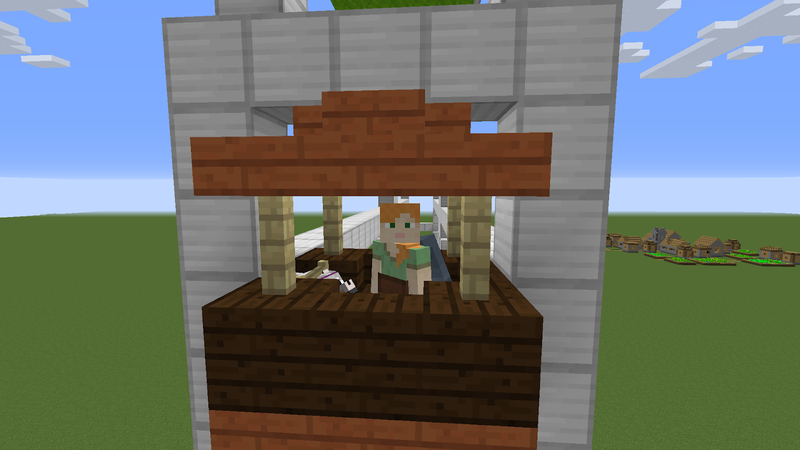 He's built roller coasters in Minecraft before, and was eager to first come up with his own projects rather than follow the ones in the book. He designed his own bumper car ride after seeing a similar ride in the book that talked about using ice to make it slippery and I was really impressed with how well he'd designed it. 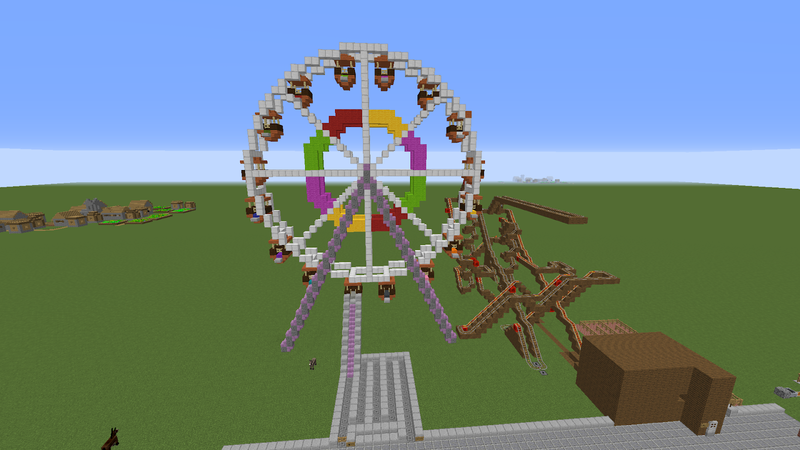 He copied his design for the Ferris Wheel from the book as he found it helpful to have something to copy - he says he can't make circles in Minecraft very well! He was very proud of it and I love the detail, it's definitely something that he would have struggled to make alone, but I wouldn't be surprised if it inspires him to make lots of similar designs using it as a jumping off point. 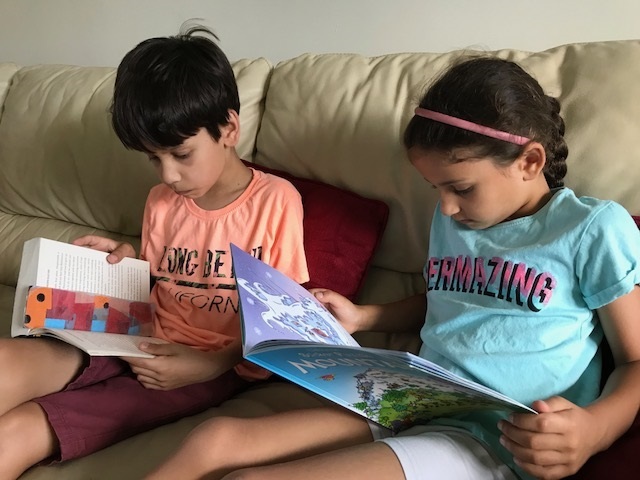 I was really impressed with both of these books, and I can see that my children are going to be referring to them and being inspired by them for a long time to come. There are several other books available in the series and I'm definitely going to be putting them on the Christmas list! We received copies of these books to review. These books will be published on 6th September 2018. I'm definitely a home bird. I'm always happy when I'm at home, keeping myself busy and pottering about. If it wasn't for my husband, who is always on the go, I'd probably rarely leave the house! But since having children I've found that a day at home can drag, and it's important to try and get out and about somewhere. Even just a quick walk to the playground or a couple of hours spent at a friend's house can break up the day and give the children enough social interaction that they will amuse themselves quietly at home for the rest of it. So I do like to make an effort to get a few things scheduled in the calendar over the summer. But I'm not one of those people that takes the children out and about all over the place. I think we'd all get exhausted! I also don't want my husband to feel left out, not to mention the fact that we'd have no money left by the end of the summer. We'll probably only do one or two full day trips out over the holidays with friends and then the rest of the time we'll fill our time with some play dates, trips to the swimming pool, and local outings to break up the day. The children do play nicely together at home (for a short while at least!) and they are happy with crafting, jigsaws, reading, helping me with bits and pieces of housework, baking and so on. They also do have time to spend playing video games and watching their iPads, although I try to limit it as they'd happily do that all day! Sometimes I do feel a little bit inadequate when I see pictures of people out and about visiting all sorts of exciting places over the summer. But I remind myself that we often go away on holiday during the school holidays and have amazing experiences together - everyone needs some downtime to relax and if the children are content to spend time in the house with me then so am I. What do your summer holidays look like - are you out and about all the time or are you happy to spend time chilling out at home? This September I'm planning to take part in Scroll Free September. It's a chance to take a break from all personal social media accounts for 30 days during September, and you can read more about it here - Scroll Free September, along with the different types of challenge that you can commit to. I will still need to use my social media accounts for my job, so I've come up with my own challenge. I'll be going scroll free in the bedroom both morning and evening, and after 3pm, which is when I leave to pick up the children from school during the week. I can still check my e-mails and notifications after 3pm, but I'll be limiting that as much as I can and stopping any mindless scrolling. I've tried to make a bit of a start over the last few weeks to get ready, and it's not easy! I've become so used to turning to my phone if I find myself with a few spare minutes, and before I know it I'm sucked in and far too much time has passed. It's also a problem when I'm sitting at my desktop computer and trying to get some work done. So I thought that I'd come up with a few things that I can do instead of grabbing my phone! Crafting - I'm currently working on both a cross stitch sampler and a crochet blanket and both of those are easy to pick up and put down when I have a few minutes to spare. Exercise - I've been very slack with the exercise lately with no excuses. It doesn't need to be the gym, although it should be as we have a gym membership, but it's so easy to pop out for a half hour run, or even just a walk around the block. Tidying/cleaning - Not the most interesting of pastimes, but I feel so much better when the house is tidy and it only takes a few minutes to put a few thing away and clear a counter top. This is something that I can do while I'm making dinner or if I have a few minutes to wait before going out. Hopefully little and often will work out well! 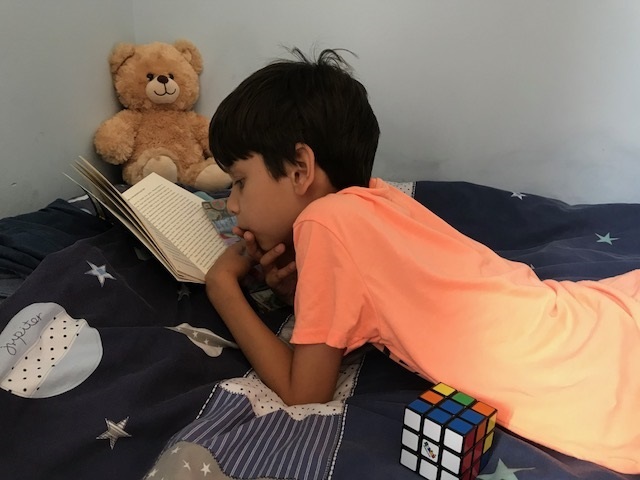 Play a game with the children - We've been playing lots of games lately with the children, and I'm finding it so much more fun now that we can play games that are a challenge for me as well and I don't always have to let them win! We have quite a collection and we've also just been playing simple card games. When they are back at school it will be something fun to do together after dinner. Play the piano - I really enjoy playing the piano but I don't do it nearly enough, I definitely need to pick up playing again! Brainstorm some blog post ideas - I find it much easier to brainstorm with a pen and paper so it's a good way to take a break from the computer and make some lists. My husband will also be away for some of September so I'll have lots of evenings by myself to fill - I've got plenty to keep myself busy, and I'm looking forward to seeing what I can achieve! You know what it’s like, you’re sat watching TV with the kids and a big flashy ad appears on screen advertising the latest, coolest toy that all the kids at school have. The kids want it, but the price tag makes your heart sink. It can be difficult to make children understand the value of money, and why they can’t always have the things they want. So, with this in mind, why not take some time to teach your little ones about the value of money and how to make the most of it when they have it? It might sound a little ominous but discussing the prospect and reality of debt with your older children can help prepare them for financial scrapes and making better decisions. Whether it’s the danger of payday loans, out of control spending on a credit card, a student loan, or a utility bill that’s proving difficult to pay; by introducing your older child to the perils of debt and how they can avoid it will make them savvier in the future. It’s also worth mentioning how companies such as Credit Fix can help get people in debt back on track and how it’s better to tackle the problem head on rather than letting it get worse and worse. We’ve all had a piggy bank at some point in our childhoods – they’re cute and a great way to save a few pennies for some sweets or a magazine. But they don’t provide much of a visual. 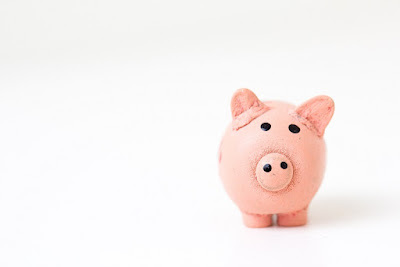 If you want to encourage your little one to save, then avoid the big brash piggy bank and opt for a clear jar instead. Allowing them to see the pennies mount up and the jar get fuller and fuller will not only be super exciting, but watching the jar get fuller means they’re more likely to want to put more in it to see their savings grow! Make a big deal about what pennies you can see in there and go through their value. Share their excitement. Our kids are pretty impressionable, and they take their lead from us. We literally pass on our habits and traits to them – so with that in mind, we need to be careful. If you’re pulling your credit card out and spending every time you go anywhere, the kids will notice. If you’re making off the cuff purchases and buying something simply because you want it then they’ll notice. If you and your partner are arguing about money, then they’ll pick up on that too. Setting a good example means, saying No once in a while. It means saying to your child, you can’t have that because we’re planning to do this instead. We don’t have money for fast food because we’ve just been grocery shopping and have food at home. Yes, their friend has a brand new car, or the latest pair of trainers. But you need to teach your child to be content with what they have. Yes their first car might not be flashy, but it gets them from A to B! 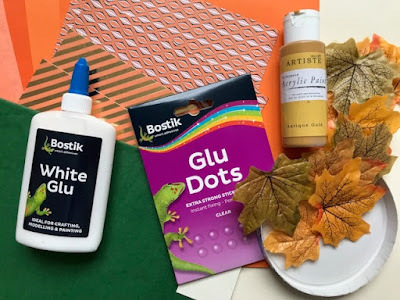 Today I'm sharing a simple Autumn themed craft using Bostik products - how to make a paper pumpkin table decoration to use as a centrepiece for your table this fall. Use your circular base as a template to cut circles for your pumpkin. 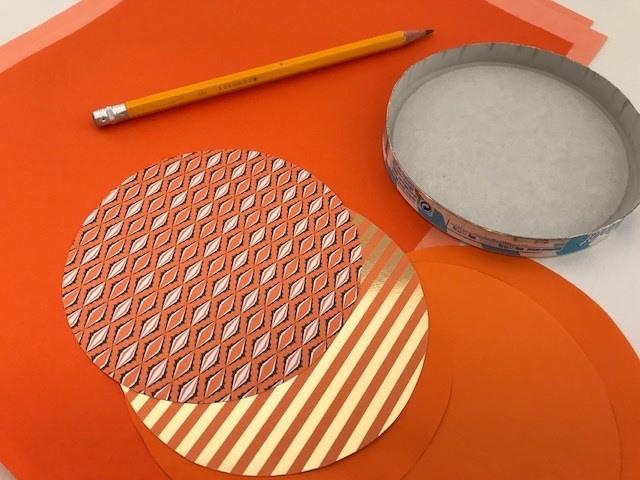 Use as many different shades of orange as you can to add plenty of variety, and if you have patterned paper that also adds some extra interest. Cardboard is best for stability but you can also use paper as it will be glued together. Take care to make sure that all your circles are the same size. I made eight circles. Fold all the circles in half. If you are using paper which is only coloured or patterned on one side make sure to fold it so that the coloured side is on the inside fold. 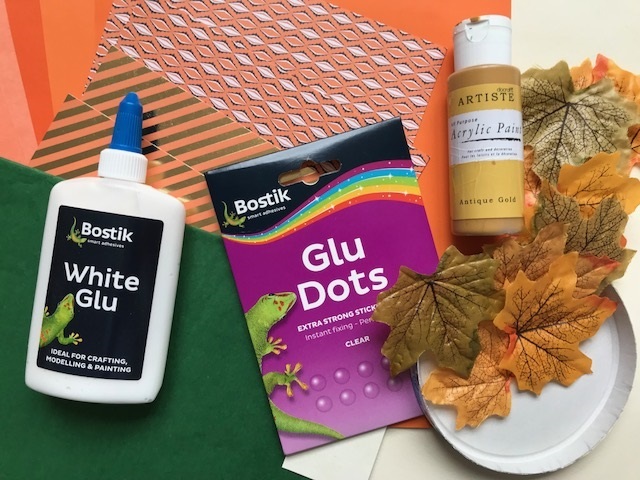 Glue your folded circular pieces together to form the pumpkin using the Bostik White Glu. Make sure to use only a thin layer of glue, especially if you are using paper, so that it doesn't get too wet. 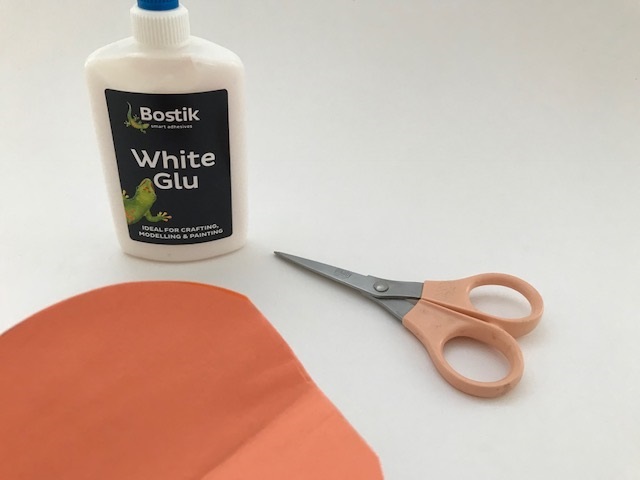 The White Glu is perfect for sticking paper because you can apply it exactly where it needs to go and it will hold the paper together firmly. It also dries clear, just in case you end up with any where it shouldn't be! 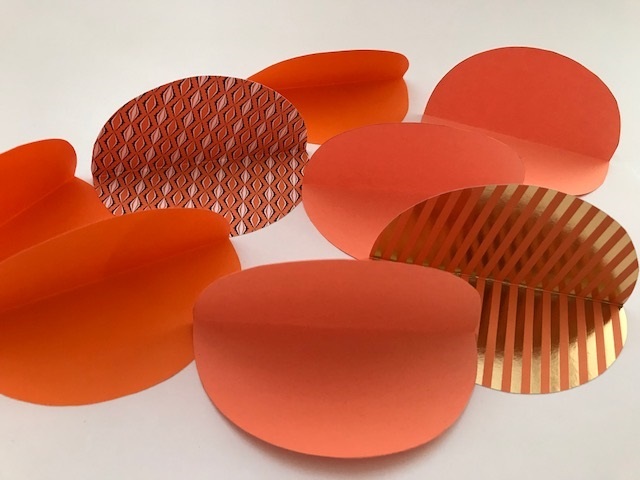 It's a good idea to lay out your pieces in advance so that you can make sure you are balancing out the different shades, and use paperclips to hold the pieces together until the glue is dry so that they stay in place while still wet. Wait for it to dry and then remove the paperclips. Check the pumpkin to see if there are any edges which need to be trimmed slightly. 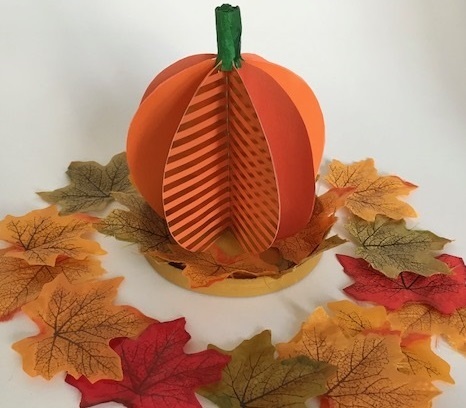 Fold the pieces out so that they are evenly spread to form the sides of the pumpkin. Cut a small section out from the bottom, so that when the pumpkin is stood up it has a flat base to stand on. Don't cut too much, but just enough so that the paper pumpkin can stand by itself. 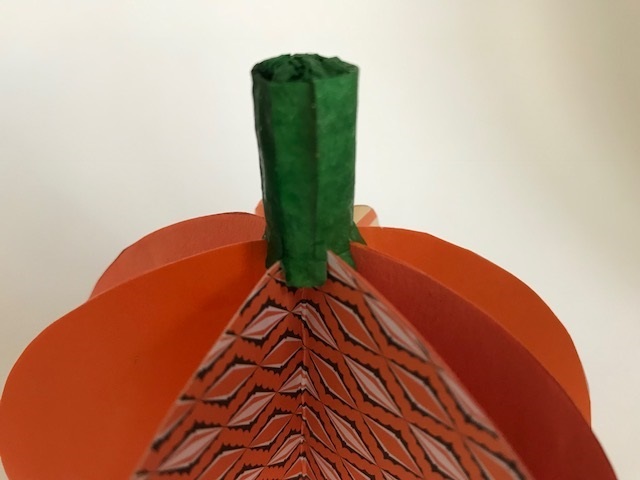 To make the stalk, cut a strip of card and curl round to form a tube, secure in place with tape. 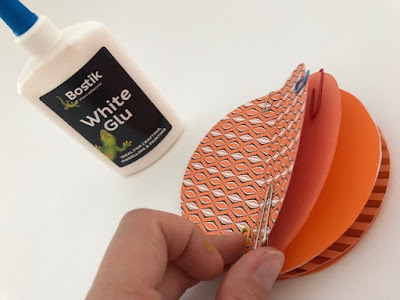 Cover with green tissue paper, stuck in place using the Bostik White Glu, and use scrunched up tissue paper to fill the hole at the top. Cut eight small slits in the base of the tube so that it slots on to the sides of the pumpkin, and this will also ensure that the pumpkin sections remain well spread out. It should stay in place but if not it can be secured with a small blob of White Glu - this will dry clear so you don't need to worry about it showing. Paint the base for the centerpiece. You can either choose to paint it in a neutral colour like I did, or a contrasting colour for some extra interest. I used acrylic paint to make sure that it covered well with a bold colour. Finally use the Bostik Glu Dots to stick the fabric leaves around the base. 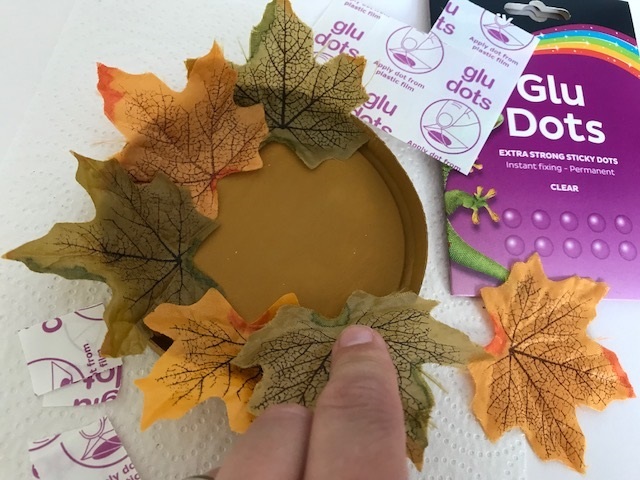 To adhere the Glu Dots you need to peel off one side of the plastic, stick the dot to one of the surfaces, then remove the second side of plastic and stick them firmly together. 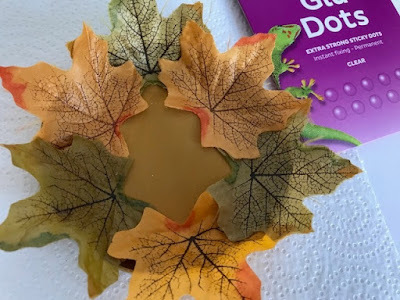 I found it easiest to stick the Glu Dot to the leaf first, then I could position the leaf where I wanted it. 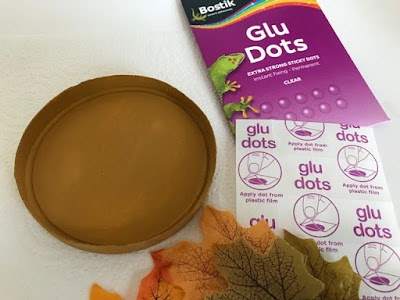 The Glu Dots are great at sticking together all types of surface, and because you don't need to wait for them to dry they are perfect if you want to see your finished result quickly. They are very sticky but can also be re-positioned if you don't get the placement exactly right first time. 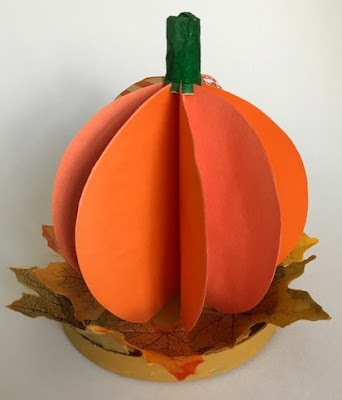 To finish, position the cardboard pumpkin inside the base. Use a couple of Glu Dots underneath the bottom to make sure that it is firmly in position and can be easily transported. Just stick them to the inside of the base, and press the pumpkin down gently but firmly. Your pumpkin centre piece is finished! These can be made in all different sizes to suit your table, or you could make a row for your windowsill or mantelpiece. This is a collaborative craft post with Bostik. In the run up to the summer holidays there were lots of posts floating about on social media with suggestions for things that children were required to do before they could have any screen time. As I've shared before, I am quite lax when it comes to screen time, but I also don't want them to spend the holidays glued to the screen. So we sat down together and had a chat. I showed them a version of the list (you can see the one I used here), and asked them how they felt about something similar. We decided to come up with a more flexible approach - we would make a list of things that I'd like to to be completed during the day, and if they did then they would generally be allowed their screens. We divided our list into two. 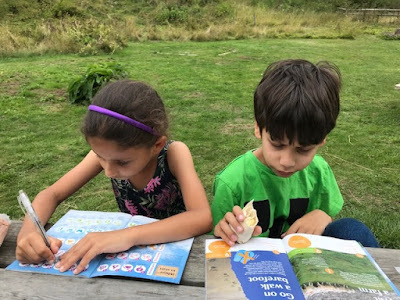 The first half was non-negotiable tasks - getting dressed, brushing teeth, five minutes tidying their bedrooms, half an hour of reading, piano practice for Harry and some kind of worksheet or activity book for Mia. We then wrote a second list of things which were an alternative to screen time - things like help Mum with a job, do a jigsaw or play a board game. I also added 'do something creative'. I stressed that the list was always going to be a work in progress, and could be changed and updated as we saw fit. This happened very early on, when I noticed how popular the 'do something creative option' was, and so I moved it to the first column as an alternative to reading (which to be fair they both generally do at some point during the day anyway). My reason was that I found after just a few days choosing a creative activity, the children really ran with it and they amazed me with what they came up with in just a short space of time. Harry chose to work on writing a Viking themed story, and he eagerly sat down at his desk to write a chapter each day. Here's his prologue, and when it's finished he intends to publish the whole story on his own blog! Night was falling. A fine mist hung over Humber River. Edward walked up to his Master. "Where is he?" the Master asked? "I...I...I...well, we've been searching, but we've been unable to find h...h...h...ech" he fell dead. The Master lowered his hand. "Find that boy!" he ordered his army...The Destroyers. Mia has also been working on a story, but her preferred creative activity is junk modelling - she loves to go through the recycling box and accessorise her creations with stickers, pipe cleaners, feathers and so on from the craft box. She has produced some wonderful pieces of work - I love seeing what she comes up with! Adding creative time to the day has been a big success, and although it will be harder to fit these things in once they are back at school I'm definitely going to continue - I may make it part of the after dinner routine, and maybe I can fit in a bit of time for crafting for myself too! A few days ago I came across this article on the BBC - Scroll Free September: Social media users urged to log off. At first I dismissed it and scrolled right past (ironic! ), but later that day I found myself coming back for a proper read, and clicking through to the Royal Society for Public Health website which explains more about the campaign - Scroll Free September. I realised that while I do need to keep up with social media for my work, too often I'm scrolling aimlessly and without purpose, and losing minutes and hours to it. I'm also distracted from family life, and although I have tried in the past to cut down the amount of time I spend on my phone, I always slip back into bad habits. The part of the video that really spoke to me was thinking about the things that you can do instead of scrolling. I have many hobbies that I'd like to dedicate more time to - reading, cross stitch, crochet - as well as new hobbies that I'd like to try. When you sign up to Scroll Free September you can commit to one of five different challenges - Cold Turkey where you aim give up all personal social media for the whole month, Social Butterfly where you remain scroll free at social events, Night Owl where you have a break from 6pm, Busy Bee which sees you without social media at school or work, and Sleeping Dog to improve your sleep by going scroll free in the bedroom. You can also choose your own challenge depending on your personal scrolling habits. I've decided to commit to my own challenge. I want to avoid scrolling in the bedroom, after 3pm (that's when I usually leave home to pick up the children) and while I'm working. So I can have a few catch ups during the day, as long as I'm honest with myself about not getting distracted from my work! I will need to have my phone handy for phone calls and messages throughout the day, but to be honest I get very few of those anyway! Although the challenge doesn't officially start until September, I've already started to notice and take stock of my scrolling habits, as well as thinking about the changes that I'm going to make. I see a visit to the library on the cards, along with some Pinterest browsing for recipes to try and craft projects to attempt. 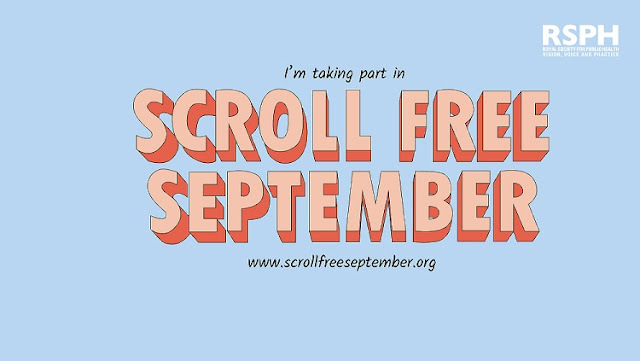 Have I inspired you to give Scroll Free September a go? I'd love to hear if you are planning to take up the challenge! The long summer holidays are always a big adjustment. At other times of the year we often go away for a week or two, but we tend to avoid travel over the summer and so for most of the time it's just the three of us at home. I love it - we enjoy chilling out at home with late bedtimes and no morning rush. It's not easy though, because both of my children are very different when it comes to personality. Harry is like me, happy with his own company. He's able to entertain himself for ages - reading, building Lego or doing activities based on things from his books. Last week he built a computer using a matchbox filled with beads, and he spent ages teaching it to play noughts and crosses! Mia on the other hand needs a lot more input from others to keep her entertained. The two of them will play happily up to a certain point, then there will be tears. Harry will have had enough, and Mia becomes frustrated that he no longer wants to play with her. This means that Harry needs the time to retreat for a little. I learned about restorative niches a little while ago, and when I explained the concept to Harry he completely understood. It's basically the term for a place that you go when you want to return to your true self, either a physical or temporal place, and a way to take a break from whatever you are doing. For an introvert it's the chance to recharge. I've told Harry that whenever he starts to feel overwhelmed, he's to tell me that he needs a restorative niche, and he can take himself off to his bedroom for some quiet time. Mia doesn't really understand why he needs this, so I've told her that when Harry needs a break we can have some 'Mummy time' to do something together. 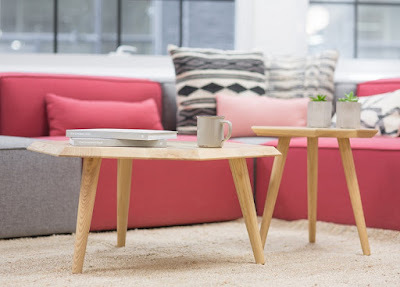 I'm also trying to make sure that I build restorative niches into our week, so a long day out with friends is followed by a quiet day at home. It's also important for me to find time during the day for my own restorative niches. I am usually exhausted at the end of a day spent with the children, and I need time to myself to recharge. So Ram will often take the children by himself after dinner. If the weather is nice he'll take them for a walk down the beach and if it's not so good they'll watch a film together in the other room. It's a chance for me to sit with my book or cross stitch, and enjoy some peace and quiet. I can also find quiet moments throughout the day. If we do an activity together - like playing a board game or doing a jigsaw - then afterwards they are content to amuse themselves for a little while. There are also always screens of course - if they've had a long gap from screens then I can guarantee myself a little bit of a break when they get them back! It's been a lovely few weeks so far of the holidays, and I'm very glad that we still have several more weeks to go. Even though it can be hard at times, I know that I'm so lucky to be able to spend this time at home with the children, and I wouldn't change it for the world. I try really hard to keep up with and reduce the clutter in our home. I've never done a really big Marie Kondo style declutter, instead I am constantly decluttering. Not necessarily because I didn't do it right the first time, as Marie Kondo would allege, but because being a family with young children means that many new things are constantly coming into the house and many other things are being grown out of or replaced. So I thought I'd share a few tips which help me to keep control of the number of things in our home. 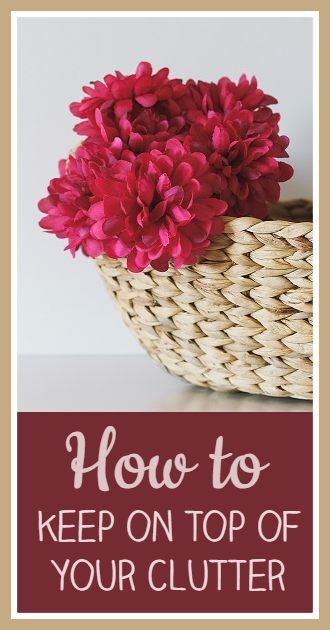 I think that the most important thing is to have a place set aside in the home for things to pass on - whether that's to charity, to be sold (as long as you will actually get around to the selling part! ), or to give to friends and family (once you've agreed that they want the items). I am very lucky that my gym has a collection point for charity donations, so I keep a donation bag on the go in the wardrobe, and drop it off when it's full. Packing for a holiday is a great way to go through the clothes. Sort them by category - for example if you need seven t-shirts put all the t-shirts together and decide which ones you will take. Look carefully at the ones that you've rejected, and if there is a reason (too small, looking tattered, no longer like it) then get rid of it. It also helps you see what you've got too much of. I love to regularly take part in decluttering challenges. I really like playing the Minimalism Game where you get rid of the number of items that corresponds to the day of the month, and in fact I started it again yesterday. I don't always make it all the way through the month, especially if we are going to be away, but I definitely notice a difference when I've had a good go at it. Notice the things in your house that you have too many of. This is different for everyone - personally I have a particular fancy for collecting hotel toiletries, cardboard boxes and candles. Make an effort to stop collecting, and see if you know anyone that could use some of the things that you have accumulated. Make sure that everything has a home, and that it is returned to that home when finished with. Don't buy anything without knowing where it will go, whether that's something large like a new piece of furniture, or something small like a new pen. Think about things that you are storing unused that could bring joy to someone else and consider passing them on. For example books that you have read or DVDs that you've watched. You'll always be able to find them again if you want to! If you have a filing cabinet, every time you file a new bill or statement remove one or two older ones from the back. Whenever you close a bank account, sell a car, house or similar, go through the folder and keep only the very essential paperwork. Get rid of things that have the potential to become sentimental as soon as you can. It's much easier to throw away birthday cards and the like a couple of weeks after the event than years down the line! I do keep sentimental things, but I think very carefully about adding to what I already have because I know that it will only become even more sentimental over time. I am to keep just the highlights rather than everything. I hope that these tips were helpful! Do you have any to add? 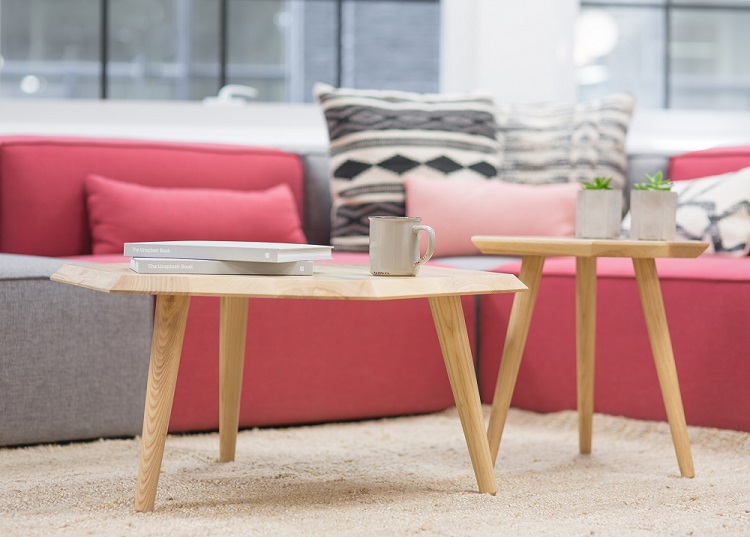 How do you keep on top of clutter in the home?